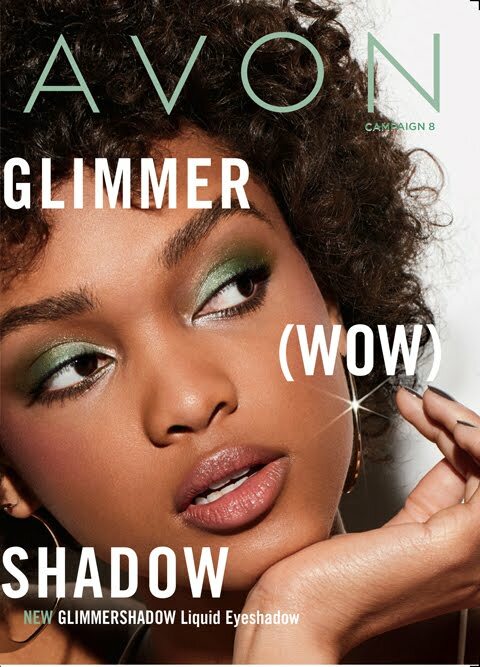 As an Avon representative there is new terminology used in conversation between leader's, coach's, down line member's, and fellow Avon representative's. Clearly understanding the words being used in conversation will aid you in becoming a successful Avon representative! The two-week Representative selling period. We typically have 26 campaigns in a calendar year. A Representative’s personalized website where any purchases her customers make are credited directly to her and factored into her earnings. Also known as online store. Programs sponsored by Avon in which Representatives can earn rewards for hitting certain targets. These rewards are in addition to their usual campaign earnings. A statement received by a Representative in her order that includes an accounting of all items ordered and billed, messages from Avon and the amount due with the next order. The Avon Leadership opportunity provides an enhanced opportunity for your Avon business offering rewards and bonuses for building your team and increasing sales. Refer to the earnings chart on the Sales Leadership page of YourAvon.com for a full list of opportunities and bonuses to expand your own earnings potential. The Sales Leader in a team who has personally recruited and appointed Representatives. Formerly known as an Upline. Your Avon Social Media Center is available for download as a free app for smartphone and tablet. It’s also located on YourAvon.com. The SMC lets you share pre-designed posts, videos and pictures about your Avon business through various social media platforms such as Facebook and Twitter. The process of having a conversation about the benefits of joining the Avon team, up to and including completing the enrollment process and establishing an account. The difference between retail/brochure price (the amount due from the customer) and the price the Representative pays for the product(s). See the earnings chart on YourAvon.com for more details. The website where Avon Representatives can manage business functions, place orders, make payments, view invoices and access training. A Representative who is consistently placing orders every two weeks (each campaign period), or who has submitted an on-time order at least within the last five campaigns. Any Representative who has sales activity (orders) in the current campaign. An additional order submitted after a regular order in the same campaign. A free tool to manage both personal leads as well as Avon-generated leads. ALMA is the mechanism Avon uses to distribute Avon leads to qualified Leadership Representatives. For more about how to qualify for Avon-generated leads, visit the Sales Leadership page on YourAvon.com. A customer who has been assigned to a Representative and places an order online through the Representative's Avon-provided personalized Online Store. A program exclusively designed for Avon Representatives that provides special offers such as discounts, business cards, business tools, clothing, motivational videos and books. The legal document in which a person signs up to be an Avon Representative, indicating his / her understanding of the Avon opportunity and agreement to the terms and conditions of the contract including all of Avon’s policies and procedures. This is Avon’s guarantee of 100% satisfaction. If a Representative or customer is not satisfied with an Avon product, they can return it within 90 days for a full refund. The measure used to qualify for Sales Leadership title, President’s Recognition Program selling level and some Avon-sponsored incentives. 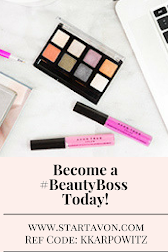 Almost everything you order from Avon counts toward Award Sales (independent of whether they count toward a Leadership bonus), including samples, sales tools, demos, brochures and flyers. A small catalog that Representatives use, featuring the latest products and highlighting special offers, sales, new product launches, etc. New brochures are made available every two weeks (every campaign period) during the year. They are also available to customers online through their Representative’s Online Store. All products that are sold at full or discounted customer price, including demos. Commissionable products do not include sales aids (brochures), paper bags, business tools, Representative samples, shipping fees and lead-related fees. Gives a Representative a place to record a recruit’s contact information and schedule a follow-up, whether it be to celebrate her successful enrollment, guide her through enrollment on StartAvon.com or discuss the opportunity further with her. A product offered in the brochure at a reduced price to encourage a specific customer purchase. The suggested retail selling price. Products only available to Representatives at an additional discount, two campaigns in advance, to showcase products sold in the upcoming campaign. A selling method offering products and personal service directly to a customer. Geographical breakdown of the Sales organization throughout the U.S. Representatives are assigned to Districts. Multiple Districts make up a Division. The Avon Earnings Chart breaks down Representative earnings percentages according to order size and President’s Recognition Program status. The percentage discount on product purchases to which a Representative is entitled in a given campaign. This percentage varies according to order size each campaign. Avon's outbound notification system used to update Representatives on the status of their orders as they process. Representatives automatically receive email updates when their orders are billed and shipped to notify them in advance about when to expect their orders and any products that might be missing. The process that officially turns a prospect into an Avon Representative. A new Representative completes their agreement on StartAvon.com and thus finalizes the process of becoming an Avon Representative. This enrollment can be done face-to-face with the Mentor or virtually, on the Representative’s own or with guidance. The fee paid at time of enrollment, equivalent to the price of the Starter Kit the new Representative chooses. Avon's Full Access Speech Technology (FAST Talk) system lets Representatives place orders and make credit/debit card payments. Representatives can also check the status of their orders, account balance, product availability, returned products, Award Sales and President’s Points by telephone. Representatives who are recruited and personally appointed by a Sales Leader. A new order window that allows Representatives to order at any time during the two-week campaign period. Representatives in Flexible Ordering need to submit their order by no later than 12:00 noon (local time) on the last day of the campaign for the sales and incentives to count for the current campaign. A significant earning opportunity open to all Representatives, by which the Representative partners with an organization to sell Avon's products, and then shares the profits with that organization. Fundraising materials are available online at YourAvon.com to assist in this process. A line of sponsorship. If a Representatives recruits a new person, that new person will be part of the Representative’s first generation. If the first-generation Representative then recruits a new person, that person will be in the original Representative’s second generation, and in the first generation of the Representative who directly recruited her. When the new Representative and Mentor meet face to face, or virtually, to review, touch base and train on various tactics to successfully grow their business. A Representative’s order that is held and not shipped by Avon’s credit system for credit-related reasons, such as past-due balances. An online Representative whose order is on hold will receive an eConnect notice from Avon. The main webpage for a business, organization, person or simply the main page out of a collection of webpages. All Independent Sales Representatives are independent contractors. They are not agents, employees, partners or franchisees with Avon, nor should they represent themselves as such. Each Representative is responsible for her own business decisions and expenditures. Message that is included on a Representative’s invoice that provides product and/or campaign information or issues regarding current order. A person who has expressed interest in Avon products and/or the earnings opportunities. Received based on Leadership performance metrics: recruiting, training, mentoring and promotions as well as team earnings. Please refer to the Sales Leadership page on YourAvon.com and reference the earnings chart for the most up-to-date details. Leadership Representatives have the option of directly depositing their earnings in a bank account of their choice. The Avon Leadership opportunity provides an enhanced career path offering rewards and bonuses for inviting people to join Avon and training successful members of a team. Refer to the earnings chart on the Sales Leadership page of YourAvon.com for a full list of opportunities and bonuses to expand your own earnings potential. The dollar amount on which Leadership bonuses are paid. This is defined as customer price less the earnings percentage of their team member(s) in that campaign. Leadership Representatives are not paid on their team’s earnings, or on sales tools, kits or returns. The number of two-week cycles, or Campaigns, a person has been a Representative. The only authorized retail selling opportunity for Representatives who sign a license agreement to sell in an Avon-approved retail shopping environment. Separate catalog that features specific products not sold in the Avon brochure. It usually includes Home and Kids products or mark. beauty and fashion items. These products are available to purchase every 4-6 weeks. The Sales Leader in a team who has personally recruited and appointed Representatives to their team. Formerly known as an Upline. Items purchased by Independent Sales Representatives such as brochures, sales aids, sales tools and samples that are not resold for profit. The Representative pays the stated price for these items that are generally business-building tools and receives no earnings or discounts. The act of meeting new people in a business, social context or event and sharing personal information to build your business and grow your customer contact list or team. An online order is considered on-time if received by Avon before midnight on the day the order is due. A paper purchase order is considered on-time when received on or before the date reflected on the purchase order for your mail plan. A recruiting rally or business briefing for the purpose of presenting the various Avon earning opportunities to current Representatives or potential new Representatives. A security feature composed of alphabetic and numeric characters that the Representatives selects. A password is required to use YourAvon.com. If a payment is not made in accordance with Avon's credit policy, the account balance will be considered "past due." The minimum Personal Award Sales, Total Team Sales, and number of Recruits necessary for Leadership earnings and to reach a certain title. Performing at title means that a Leader has satisfied the title requirements in a given campaign and is eligible to receive earnings. This determination is based on two weeks of team contributions, personal sales and the particular team structure. Refer to the Leadership earnings chart for details. The sales that a Representative accumulates, excluding sales from her team (i.e., only sales associated with her customers or herself are included). This also includes her personal online sales. The Visa Prepaid Card is a personalized and reloadable prepaid card issued to Representatives in place of paper checks. Earnings are automatically loaded to the Visa Prepaid Card. The first level of sales achievement within the President's Recognition Program that recognizes Award Sales. Provides recognition and rewards to Representatives for outstanding achievement in Total Sales, Sales Increase and Leadership in a year beginning at the start of Campaign 1 and ending at end of Campaign 26. A Sales Leader who has chosen the Leadership Opportunity and has at least one recruit. Previously referred to as "Untitled." The search for potential customers or team members. New Representative with a first order of $150 or more, paid on time within 30 days of the time of enrollment. New Representative who places a minimum order of $100 in their first campaign and who submits and pays for the order on time. An ordering feature that allows a Representative to efficiently enter an order by product number and quantity. Representatives do not verify product description until the order is completed. A method by which Representatives can apply payments electronically from their checking accounts directly to their Avon accounts. Payments can be made online or through a toll-free phone number, 1-877-784-5729. Representatives can enroll by going to YourAvon.com. Converting a potential prospect to become a team member. Professional recruiting materials designed to help Representatives encourage recruits to choose the Avon Earning Opportunity. A reward given to a Representative upon successfully recruiting a prospect who establishes his / her Avon business with positive sales according to the terms of a particular incentive. The way Avon refers to its geographic territories. Avon U.S. is divided into five geographical regions. An officer of Avon who is responsible for the sales growth within a respective geographical area of the United States. The Division Sales Manager reports to the Regional Sales Director. Representatives who have activated their account with positive sales, placing a first order and maintaining sales for a rolling three campaigns. An order due every campaign and placed on schedule and in accordance with a Representative’s specific RPS date. Reactivating your Avon account after having been removed for 26 campaigns or fewer, provided the account is paid in full. An order that the system rejects and does not process. Generally, reject orders happen if there is a current order on hold after 10 days, if the account is removed or if there are invalid line numbers. The termination of a Representative’s contract with Avon due to inactivity, past-due balance, inappropriate actions or a management decision. Accounts will be removed for the following reasons for a past due balance after four campaigns or after six campaigns of inactivity. The account status will change to discontinued on the 27th campaign. The specific date on which a Representative is to submit an order with appropriate payment. Mail plans and mail dates vary by District. A Representative participating in the Avon Sales Leadership Program. Also referred to as a Leadership Representative. Sales Leader rewards received for meeting specified qualifications. Refer to the Leadership earnings chart for more details. Leadership Representatives have the option of directly depositing their earnings in banking accounts of their choice. Provides bonuses and rewards based on performance of Representatives who invite others to join Avon and build a business. For a complete review of the earnings opportunity, refer to the Leadership earnings chart on YourAvon.com. The idea of sharing and promoting your business to others virtually. Leveraging technology and social media to increase sales and bring brand awareness. The relationship between a Sales Leader and any Representative recruited by one of her first-generation team members. This is an order placed off schedule and requested to be shipped immediately. This order usually ships via UPS the following business day. Multiple-order fees may apply. A product ordered in the campaign that is not available but will be shipped at a later date. All shorts are noted on your invoice and are filled when available unless otherwise noted. This provides a skeleton view of the entire website and can assist with site navigation. A new Representative chooses from three Starter Kits when she enrolls with Avon: the $25 Quick Starter Kit, $50 Advanced Starter Kit or $100 Premium Starter Kit. Each contains a variety of products, samples and resources to help the new Representative get their business started from day 1. Products that are no longer available and are removed from sale. They will not be relisted in the brochure or elsewhere and are not eligible for award sales if ordered. The generations of Representatives under a Sales Leader (i.e., 1st, 2nd, and 3rd generation). Formerly referred to as a Downline. A Sales Leader who is not performing at their achievement title in the current campaign. The existing title is held for six campaigns. When a Representative fails to maintain their title after six consecutive campaigns, they will be retitled at the level at which they are performing. A Sales Leader currently titled at a Leadership position of achievement (Star Promoter through Platinum Executive Leader). The total of a Sales Leader’s qualifying personal award sales and the total personal award sales of her 1st, 2nd and 3rd generation team members. A customer who orders through Avon.com and chooses not to link with a Representative. Note that a customer who was referred to a Representative remains unattached until she places an order through the Representative’s Online Store or registers for an account via the Representative's Online Store. An item that is out of stock will be taken off sale and cannot be reordered. An alternative recommendation may be offered. A fancy way of saying Internet address. 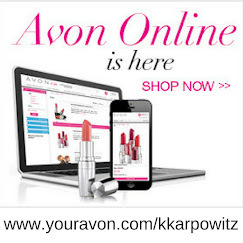 For example, the URL for the free Avon website is www.YourAvon.com. 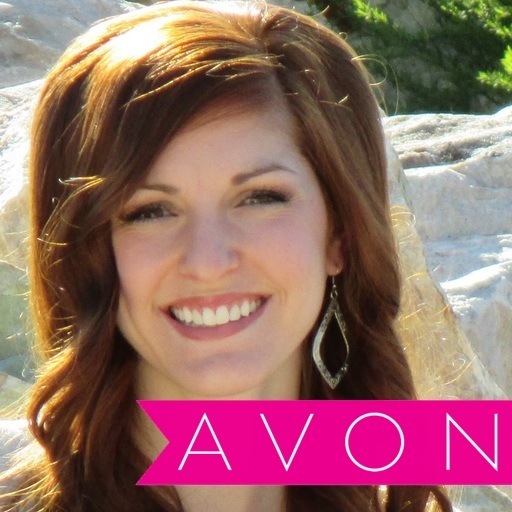 This is a unique name picked by customers or Representatives to access www.YourAvon.com or account on a Representative's Online Store. Avon software for Leadership Representatives (Star Promoter and above) that contains information about her entire team and allows her to analyze how to grow her business, create a hierarchy, generate reports, and create notes and tasks for each Representative. Formerly known as Downline Manager. 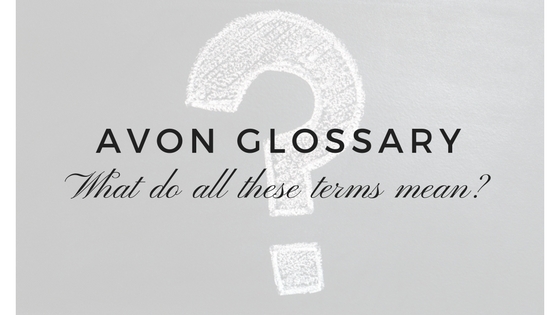 For more terms specific to VIBE, see page 14 of this glossary. An online tool that lets a Representative track her schedules and to-do lists with a calendar management tool; publish events on her site; prepare Customer invoices and manage contacts in a central place. Web-based seminars that provide Representatives with training, product news and business updates. Webinars are available on YourAvon.com. The URL for a Representative's Avon-provided personal website. This is where customers and can access a Representative's Online Store. The period of time beginning at the start of campaign 1 and ending at end of campaign 26. The President's Recognition Program uses this period to track the annual sales of each Representative. Year-to-date sales are the net personal or team sales of all campaigns from campaign 1 to the current campaign. Formerly known as Cycle to Date.